The days when people used to go into the wild with little to no technology, having in mind to escape the comfort of the modern world and return to a more primeval state are long behind us. That’s not necessarily a bad thing, since a GPS can prevent your getting lost, and a good smartphone app can tell you which mushrooms you shouldn’t eat. Unfortunately, most smartphones don’t have long lasting batteries, but choosing the best solar phone charger you can afford can solve that problem for you. 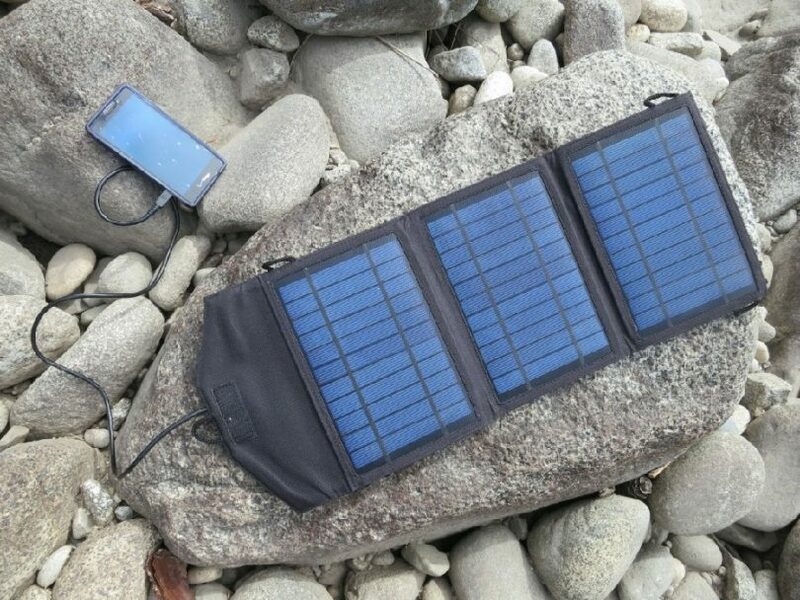 In this article, we’ll tell you everything there is on solar phone chargers, how to choose the best models on the market, what advantages and disadvantages they entail, to help you decide which solar charger you need for your hike. Solar powered devices are indeed among the modern day technological revolutions. But if you’re thinking about buying a solar charger, you need to know the technical concepts and the science behind them, so you can be prepared to operate them. Not to mention that you’ll be able to acquire a device that suits your needs according to their wattage and amperage. The watt is used in physics to measure electrical power, being the multiplication result of the electrical tension (called voltage) and the electrical intensity (called current and measured in amps). That being said, if you have an older model of phone that doesn’t require much energy to be charged, you can get a 5 watt charger. 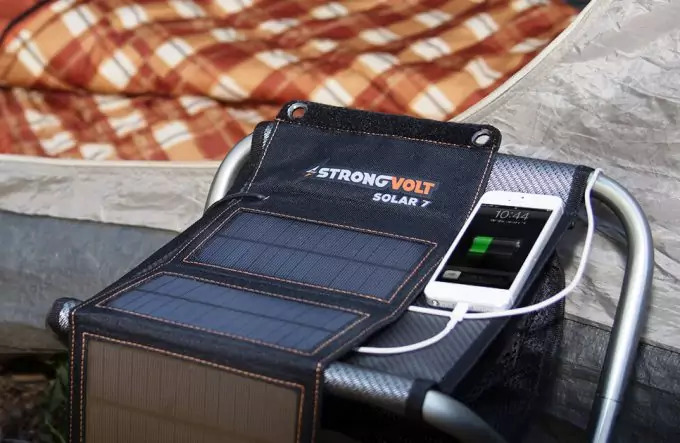 On the other hand, if you have a smartphone, iPad, tablet or some sort of energy consuming device, then you need a solar charger of 10-15 watts. Chargers with 15 to 25 watts of electrical power are a great choice if you’re not going alone on your hike and a few other people will use it too. 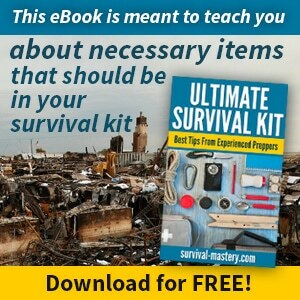 It’s also a great addition to your camping list if you have more devices you need working throughout your camping trip. 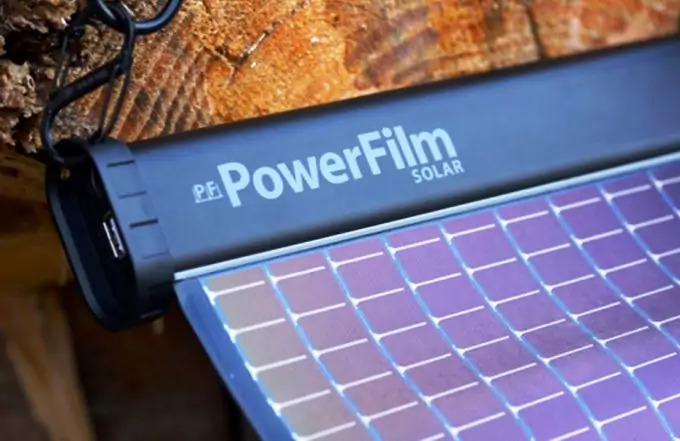 If you’re only planning to use this marvel of solar technology to charge your phone, you don’t need to choose a more expensive and complicated model with more than 25 watts, which may require an additional battery and inverter, because that’s useful for people who want to charge their laptops or AC systems. However, you shouldn’t go to the other extreme either and get low wattage chargers because they’re less costly. They can get the job done, but they take a lot longer: 4-5 hours with a 5 watt charger, compared with 2 hours with a 10 watt charger. But since smartphones are increasingly popular and most hikers own these types of phones, the best solar phone chargers out there have a high wattage. They also have batteries that make your device absorb energy at a lower intensity rate (fewer amps). Consequently, you’ll also have to be pretty careful with reading all the specifics. There is a lack of regulations regarding the proper wording, and sometimes it can become really confusing. So, let’s say you’re looking at output power. You want to pick a solar charger that can charge your smartphone and your friend’s less modern phone. For a smartphone, you need to get a device that has at least a 2.1 amp USB port, while for your friend’s phone can easily get away with 1 amp USB port. And here’s where it gets tricky. Some brands declare their product has an output power of 2.1 amps, referring to the total amperage supported by their device. In contrast, others mean that each port or at least one port can support that maximum amperage, but you can use both of them simultaneously. Therefore, the first device can only charge one device at a time at 2.1 amp, but the second one can be used to charge both your smartphone and your friend’s phone concurrently. 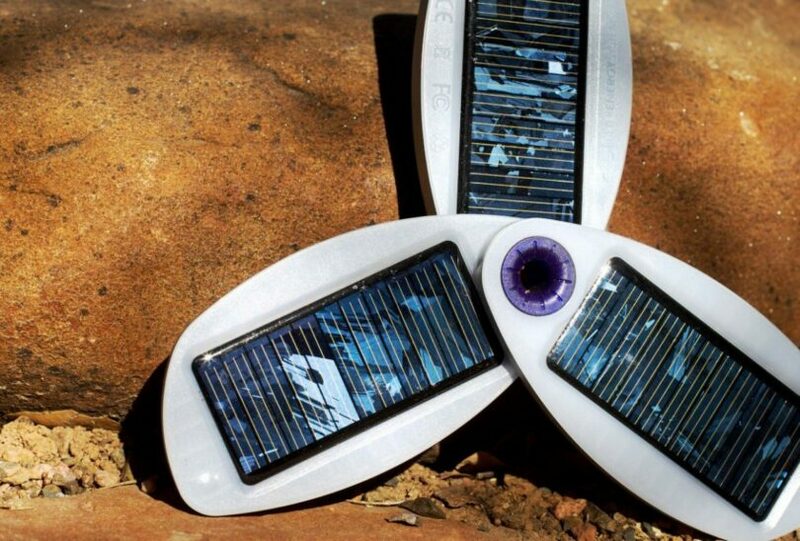 Solar chargers use energy from the sun to charge your phone. That’s why the advantages and disadvantages of solar power can be likewise transferred to the devices that harness it. Great in emergency situations. If you’re too far away from a power source and you need to charge your phone really fast, so you can keep in contact with your family at home, or use your hiking app to monitor your journey, then you need your smartphone working. Solar energy is free. That means using your charger can be a great addition for at home use. Your electrical bills will be lower, and you’ll have your smartphone up and running at a full speed. Sunny weather. 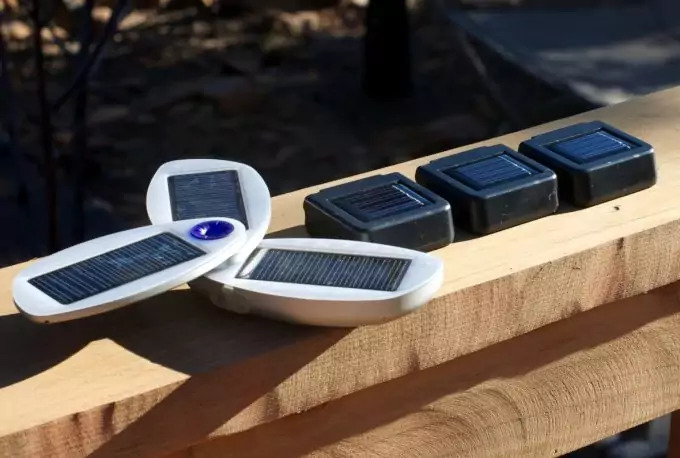 If you’re hiking in a place full of sun and daylight, then you can be sure that you’ll take full advantage of the power the sun can provide you to charge your phone. Your charger will get the job done fast, and you’ll enjoy the benefits of modern technology on your camping trip. Cloudy weather. If you’re going somewhere nice, but with less sun or in a season with less daylight, then you need to reconsider acquiring a solar charger. This device can indeed assist you with charging your phone, but instead of hiking and exploring, you’ll have to wait longer for your phone to be charged. That’s why in this situation, it’s advisable to get a charger that has a higher wattage, to make sure your phone charges faster and you can enjoy your trip. Some chargers can’t deal with your phone’s needs. That’s why you need to make sure you’ve double checked the amperage and wattage on the device you’ve decided to buy, so it can support your phone’s energy needs. This is also unpleasant if more than one person has to use the charger, since it can prolong your waiting time. Some devices don’t fully charge your phone. In this case, you’ll probably have to use the charger multiple times a day, or just make peace with the fact that during your trip, your phone won’t be charged to the max anymore. How many devices need to be powered by your charger and if you’re going in a sunny place. Integrated battery – Great for a short trip, not more than a weekend get-away. Can’t charge more than 2 devices and it functions better in a place basked with sun rays. 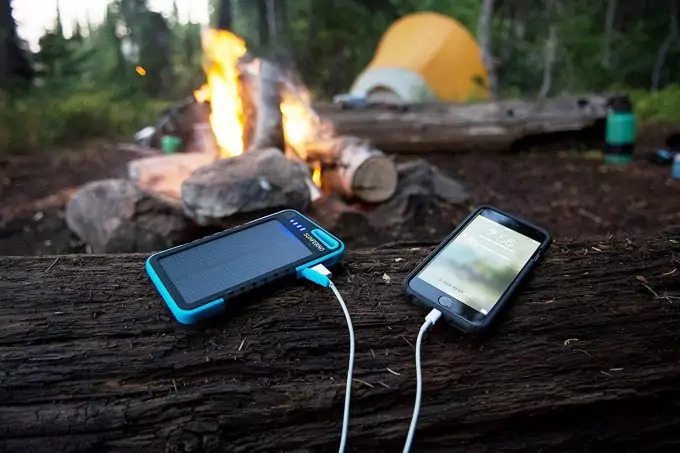 Folding panel and battery – Good for a few days of camping in the wilderness, it can charge the phones of a few people, but it helps if you’re going somewhere sunny. CIGS – This is a flexible panel which can hold you for many days, being quite affordable and lightweight, but not very durable. 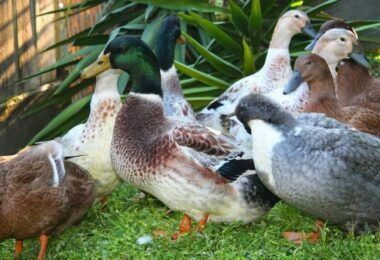 Nevertheless, they are quite good in cloudy weather with a lower amount of sunlight. Monocrystalline – This is the traditional type of solar panel, built to endure. However, it doesn’t fold and you may view that as a disadvantage if you’re only going away for a few days. However, most monocrystalline chargers have an improved design and their rigidity isn’t such a drawback anymore. They aren’t very efficient in cloudy weather as the CIGS are. Polycristalline – Since these panels are made of multiple silicon crystals, they aren’t as efficient as the monocrystalline ones, manufactured out of a single crystal which can make electrons move faster and use up less energy for that. Nevertheless, these panels are great if you want to save money and use them very frequently. Integrated batteries – the integrated batteries are great if you want to leave the camp and not worry about constantly adjusting your phone. Besides, the battery is also a good addition in emergency situations, when you absolutely need to make a phone call. Auto-restart technology – this feature allows your charger to restart automatically if its activity was interrupted by the brief passage of a cloud. Otherwise, you would have to unplug and re-plug a device that lacks this ability, which can be considered quite tedious, not to mention inexpedient, if you miss the cloudy moment. Easy setup – the best panels don’t take a lot of time and energy to be set up, and don’t have a ridiculous amount of requirements regarding the place where they need to be put in. Some lesser quality chargers can even be blown away if it’s too windy, and that’s not the kind of device you’d want for an extended trip in bad weather. 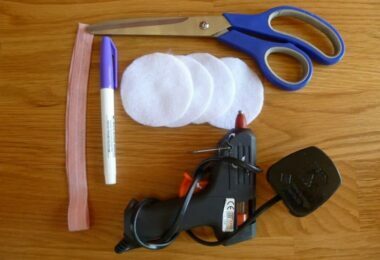 Lightweight – make sure you can carry your solar charger easily, but don’t sacrifice quality for this feature. As such, you can choose a CIGS panel if you want something less heavy. Adaptability – the best products on the market allow you not only to charge your phone, but other devices as well. They have one or two USB ports with different amperages to plug in your mobile accessories so that you can be more efficient and charge everything you need simultaneously. 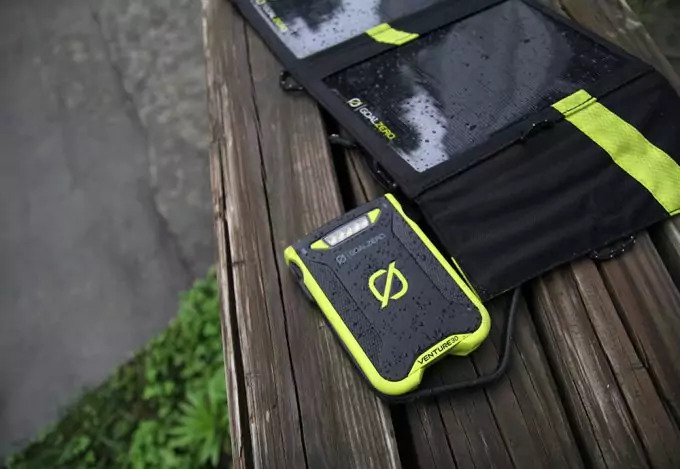 That being said, we’ll now take a look at some of the best options available for people who want to get the best solar chargers for their phones. This is a great item, courtesy to the Goal Zero Company – one of the best names on the market. With a retail price of $169.95, you will get a number of important benefits from this product. First of all, it has a built-in micro USB tip that is specifically designed to prevent tangling, and it can be used for all sorts of phones and tablets. It provides efficient charging in full sun in four hours, since it has a solar charging tip built in. The best thing about this model though is that it’s waterproof, so even if you drop it in a puddle or even if you’re leaving it outside in the rain, you can be sure that it can still function properly. Besides, being confident that you can use it when it rains is a great advantage for hikers who set camp when the weather is bad. Due to its technical characteristics, you can use it to power 2 phones at once, which is an important detail to consider if you’re camping with more people. Besides this, it isn’t big at all at 10.9 x 10.3 x 6.5 inches and 2 pounds, which renders it perfect for your luggage concerns. This solar panel is one of the best models on the market, since it’s manufactured by a trustworthy brand like Instapark. 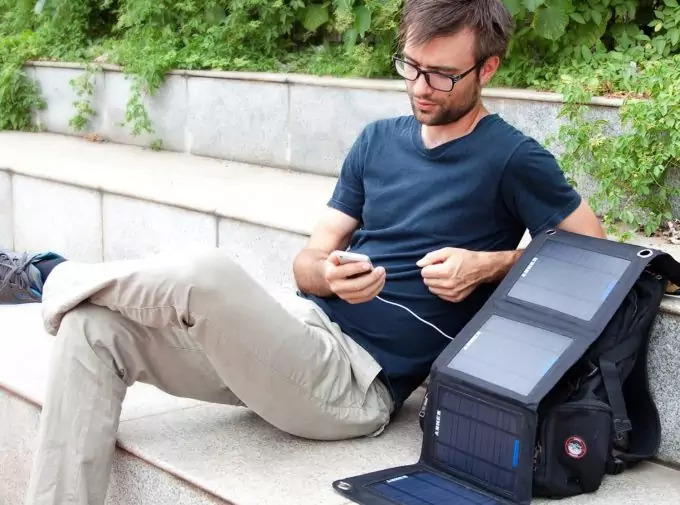 At only $64.90, you can be sure that you’ll have an efficient solar charger, which can fit very nicely in your backpack since it has a foldable design. Besides this, it measures only 9x6x2 inches and weighs less than 0.9 lb, which can give you an idea of how lightweight it is. When it comes to its technical specifications, the Instapark solar charger has a 10 Watt electrical power, and a built-in dual USB charging port. Besides this, you won’t need any supplementary batteries for charging other devices. That means it’s an environmentally friendly product, that doesn’t leave any carbon footprints. Another perk is that you’ll also receive a 1 year warranty along with its purchase, so you can ensure that if anything happens to it, you can replace it or fix it free of charge. This $52.99 item from SUAOKI is one of the best rated products on the market, probably because it’s a high wattage monocrystalline panel, which can charge your phone very fast. Besides this, its intelligent technology allows the charger to tell exactly what kind of device you’ve plugged in, in order to charge it more efficiently. It has a dual USB port, so that you can plug in 2 devices simultaneously, not to mention its portability: having the benefit of a triple fold design and weighing as little as 22 ounces, this device can easily be carried inside your backpack. You can also use its 4 carabineer hooks to place it outside your backpack, in order to charge your phone as you’re hiking. An Anker product, this solar charger gives you at a retail price of $45.99 the advantages of being inexpensive, easy to use, durable, simple, and powerful. In fact, the Anker brand in itself poses a huge advantage through its trustworthiness and immense community, since more than 10 million people worldwide chose products manufactured by Anker. This particular item has a fast charging technology, called PowerIQ. In direct sunlight, this will provide a current of 2.1 amps, while the electrical power is 15 watts, which renders this panel’s efficiency in the range of 21.5 – 23.5 %. Moreover, you’ll have the benefit of charging 2 phones at the same time. The craftsmanship provides further clues about this charger’s durability. As such, it’s made out of an industrial-strength PET polymer that is sewn into a rugged polyester canvas. That means this solar panel is very resistant and can last for increasing amounts of times outside. Another boon is entailed by its portability and light weight, because it can be folded into an 11 X 6 X 0.7 package that weighs just 12.5 oz. On sale with $49.99, this solar panel is one of the very efficient products on the market. It’s a fast charging, high wattage, high amperage panel, which will give you the plus of a high conversion solar charging technology. 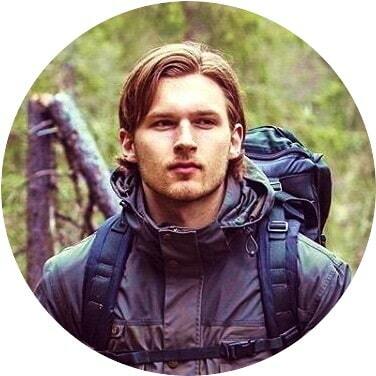 That is extremely useful when it comes to keeping your device charged with solar power, and if you’re hiking with another person both of you can use it simultaneously. The iSmart Technology used by this great RAVPower product is available for both USB ports, and it is good for detecting exactly how much current each device needs under direct sunlight. As such, each port can deliver a current of 2A each, or 3A total. Additionally, the stainless-steel design of its eye-holes and hooks is very good for you to easily attach it to your backpack, your tent or a tree. So you can use it even when you’re walking in the sunshine, not only when you’re in a camp. Besides, it can be folded and it’s waterproof and mold-resistant so you can rely on its durability. With 10.1x1x7.6 inches and a weight of 1.6 pounds, this charger is a bit on the bulky side, but it’s still not too heavy to carry in your backpack. You also get the benefits of an 18 month replacement warranty and a 30 day money back guarantee if you’re not pleased with your choice. This solar charger by Sunferno can be used to charge 2 phones at the same time, and you can use it to charge most devices 3 times. That’s because it’s one of the items which provides you both a solar panel, and a battery. The battery needs 5 to 7 hours to be charged through a wall socket or a USB, and it can safely be recharged 1000 times. However, the battery works better than the solar 1.2 Watt monocrystalline panel, which means it’s perfect for trips that don’t take too long. You can even use it in case of emergency, but you shouldn’t count on it for extended trips that require you to always have your devices charged to the max. Keep in mind that this Sunferno product costs just $29.99. Apart from this, the smart charging technology it uses can tell which device you have connected and then use this info to charge it more efficiently. Besides, it has a dual-port USB installed, and it’s compatible with most USB devices, such as: iPhone, android mobile phones, iPad, tablets, kindle, GPS, camera, Bluetooth. Since it has a dual-USB port, you can charge 2 of the above items at the same time. This somewhat pricey $118.99 solar charger has a 5V USB port output, which renders it less than perfect for extended trips, and it can also take quite a lot of time to charge your smartphone. Even though it’s not that fast, it’s quite trustworthy since it works properly and doesn’t have glitches. As such, it has solar panels with Maximum Power Point Tracker technology which can charge its own battery as well as other devices in 8-12 hours even if it’s not too sunny, as well as a 3500 mAh internal battery which is solar compatible. If you want to know when your phone is charged, this item can show you that, courtesy of its 4-color LED. This charger is manufactured from strong materials, and at 6.7×3.8×0.9 inches and 9.3 ounces, you can confidingly strap it on your backpack, to charge your phone while hiking. Consequently, there are a lot of options readily at hand for everyone, depending on what you need and how you’re planning to use a solar charger. It’s easy to be confused by the multitude of devices at your disposal, so make sure you read all the specifics and consider all your requirements before acquiring a new item, so that you won’t have to go without your phone for too long. Apart from this, you can likewise combine a solar charger with an external battery which you charge at home, especially if you’re not sure about how the weather is going to be. With an external battery, you can charge your phone about 4 to 5 times, at lower amperage and you can even use it in the dark. For a review of the best solar phone chargers, see our article on this useful topic. Plus, it’s not a very heavy addition to your backpack, nor is it expensive at all. 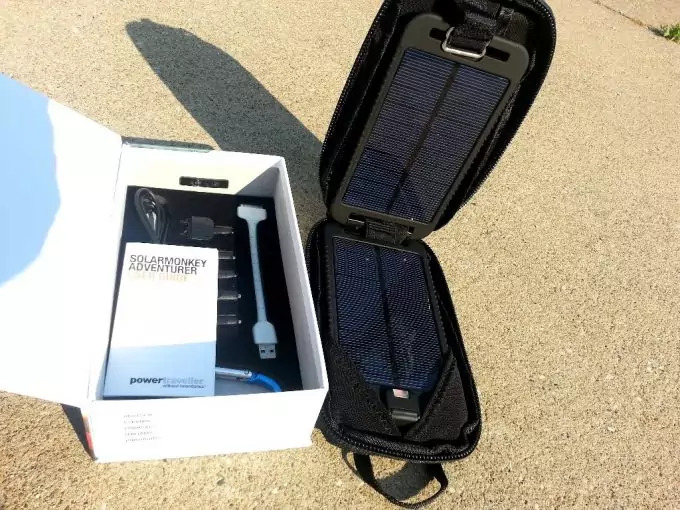 The solar charger can benefit you along with it if you’re going away for a prolonged period of time, and you can keep the charged battery for emergency situations only. Most backpackers usually go for this combination because of all the advantages it entails. 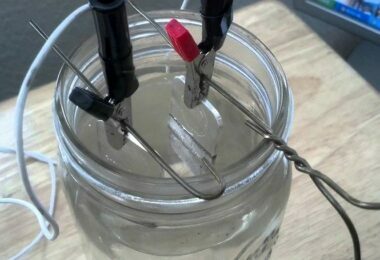 To learn more about how solar energy works, see our article on this topic.